Come dressed in the attire of any period you wish, including the present. beverage for sale & a GRAND BALL in the evening. - At 1:00 - Kentucky Shakespeare Company reads some of Miss Jane Austen’s humorous and little-known early works. 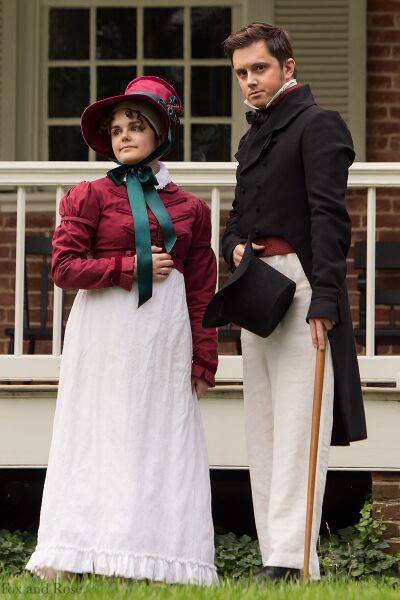 - Re-creation of the wedding of Ann Croghan & General Thomas Sidney Jesup at 4 pm. - The Acasta crew, a Royal Navy vessel, will be in residence. A GRAND BALL will commence at 7:00 pm, with traveling dance instructor, Dr. John Gardiner-Garden. The dances to be called are listed here. The ball will be held in the air-conditioned Audubon Auditorium in the Visitors Center. Post & Crown from Cincinnati will provide live music. Advance reservations for the ball are recommended, $12 per person - call 502-897-9845. For more information call 502-897-9845. Thanks to the Jane Austen Society of North America- Greater Louisville Region for co-sponsoring this event.